What exactly is the "Texas Cowboy Life"? (A) It's like the "Dallas Cowboy Life," only more successful and less comical. (B) You hang out on a ranch and every so often punch a rookie in the head a half-dozen times. 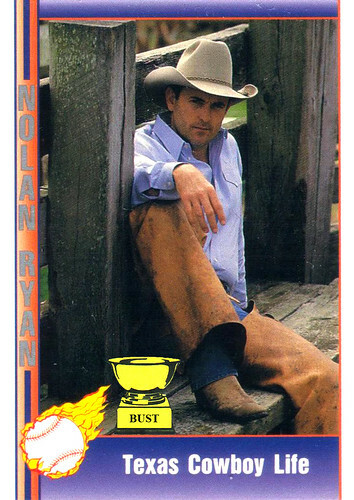 (C) You pose for a ridiculous set of baseball cards for a company trying to stave off bankruptcy. (D) Two words: assless chaps.